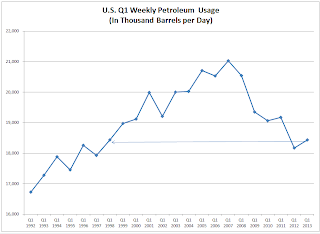 Here are some first quarter 2013 petroleum usage charts from Tim Wallace. 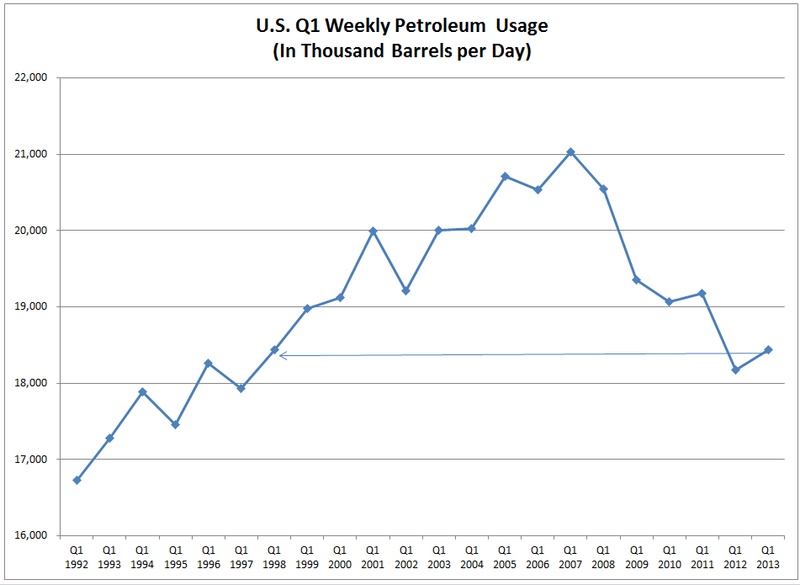 The charts all show first quarter usage in 2013 as compared to first quarter usage in prior years. 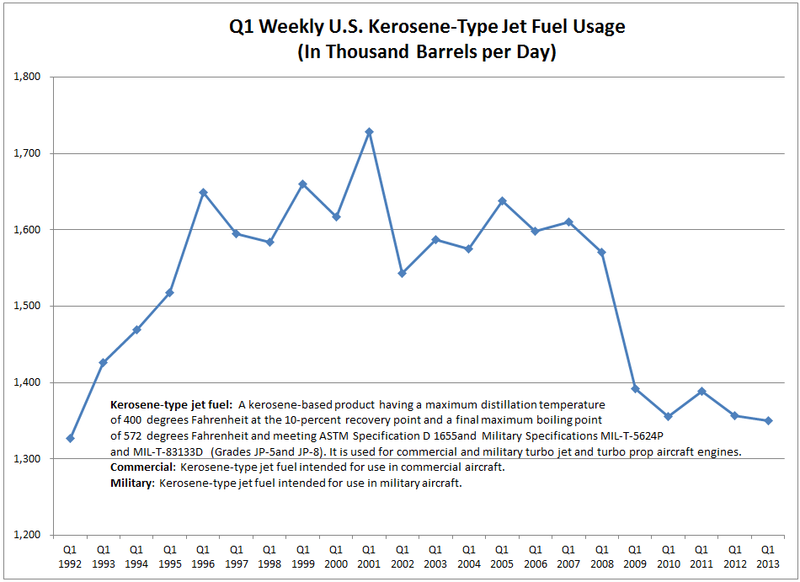 Here are separate charts for Total Distillates, Gasoline, Kerosene Jet Fuel, Fuel Oil (diesel, etc.) 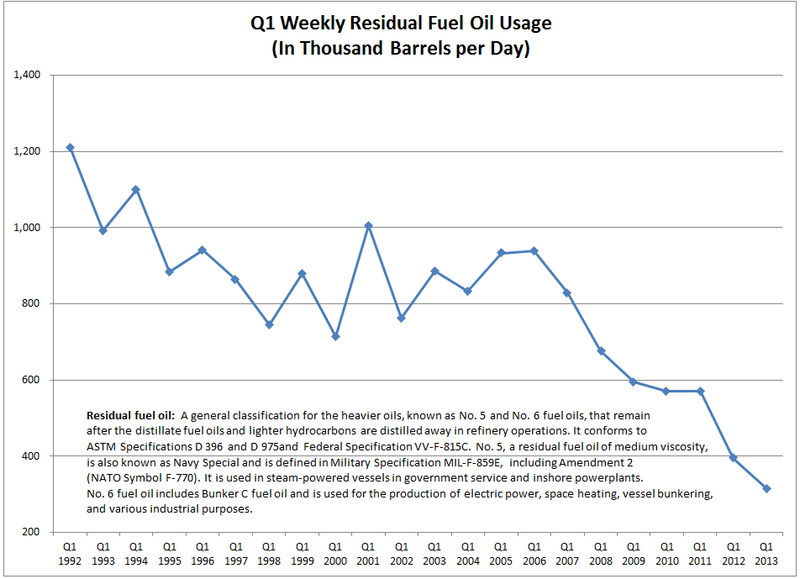 and Residual Oils. 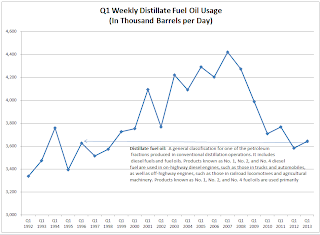 Total distillates usage is at a level seen in 1998, and not much higher than 1996. 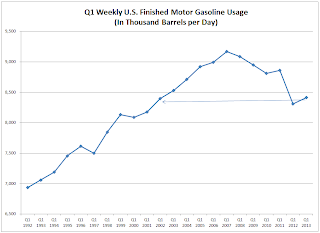 Gasoline usage is at a 2002 level. 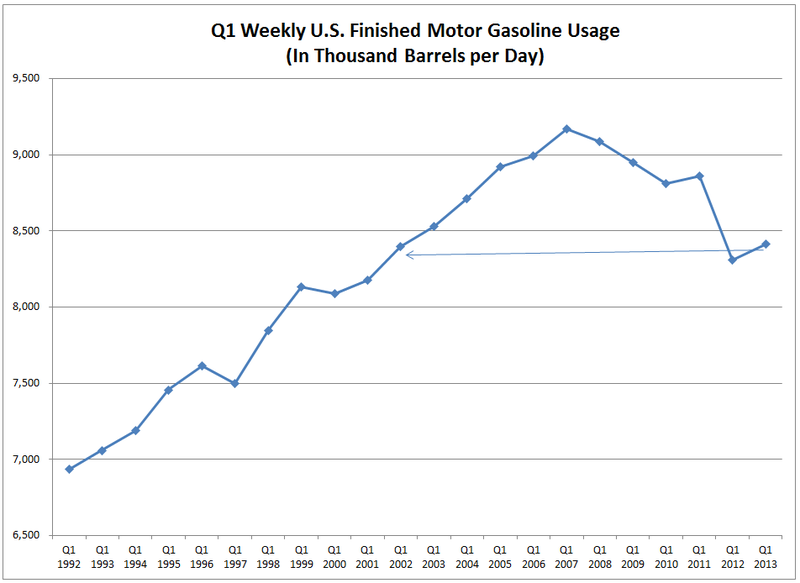 The drop from the peak year of 2007 is now 8.3%, quite dramatic. 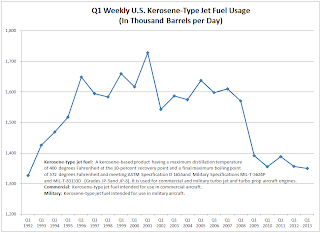 Kerosene Type Jet Fuel is now lower in demand than 1992 and is 21.9% lower than the peak in 2001. 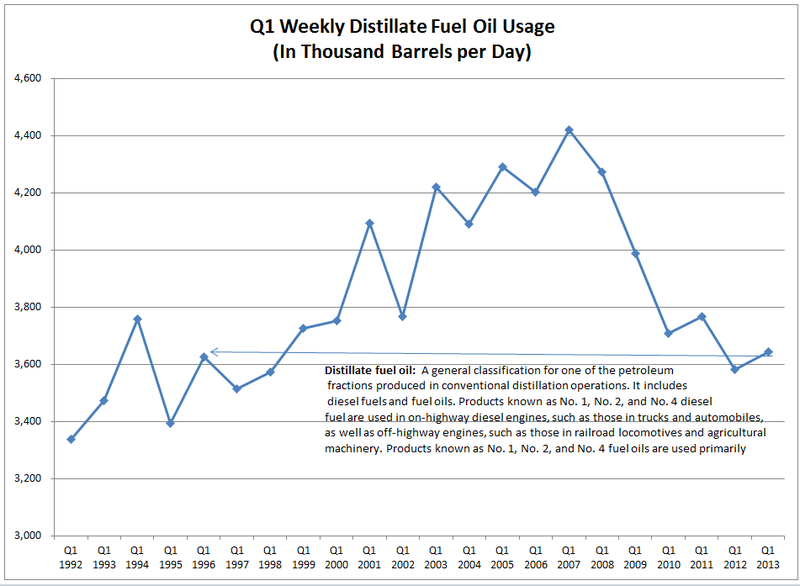 Distillate Fuel Oil usage which include such things as diesel and heating oils is now all the way back to 1996 levels, down 17.6% from the 2007 peak. Once again that there can be little proof of major economic recovery, and more importantly, although we have apparently reached a bottom it is well off of historical levels. 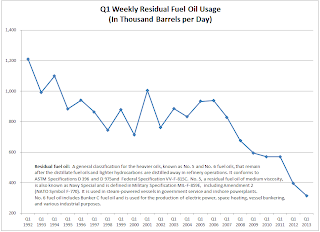 Recall that president Obama said he would reduce our carbon emissions 15% by 2015. He may succeed, not because of "alternative" methods, but rather from demand destruction.